I tried to explain that PACS stands for picture archiving and communication system and that radiologists use PACS for storage, retrieval, and diagnostic analysis of digital images captured by modern radiological techniques. I also asked whether he watches the TV shows House or ER. “Of course,” he replied. It was apparent that he, along with countless others who watch such shows, has come to accept such medical diagnostic technologies as de rigueur and learned not only to accept but to expect them in their own medical care. I went on to explain that with the surge of acceptance has come an unintended side effect—that of causing radiologists, who use PACS to retrieve and view the stacks of images so captured, to suffer pain and discomfort due to extensive operations with keyboards and computer mice. The increased frequency of mouse clicking and key stroking spawned a significant increase of physical harm from repetitive stress injuries such as carpal tunnel syndrome. Some reported injuries reach the point of increasing costs due to disabilities, work outages, workers’ compensation claims, surgery, and long recovery times. And that, I told him, was where people like me come into the picture. With our array of computer input devices specifically designed and tested to be of maximum ergonomic integrity, we are positioned to help prevent and remediate problems that occur when “PACS attack”—as he put it. • Radiologists and those who manage the acquisition and employment of the radiological systems they use need to recognize the magnitude of the unintended side effects caused by the volume of mousing operations required to make sound diagnoses. A recent study cites the change in volume of mouse-clicking operations over the past decade. Pragmatically, radiologists are expected to do some 50,000 mouse clicks and/or function key selections per day, according to a 2005 presentation at the annual Society for Imaging Informatics in Medicine meeting. This is a textbook case of how to inflict repetitive strain injuries on system users. • The commodity mice sold with most personal computing platforms (including the man-machine interfaces in all currently known PACS) are intentionally cheap and minimally (at best) ergonomic. It is a case of economics trumping ergonomics. The buttons are too small to support full-finger clicking, meaning that the fingertip knuckle—the weakest of all the knuckles—gets exercised maybe 50,000 times per day. The commodity mice are built under the assumption that they are ambidextrous and that one size fits all—neither of which is true. • Posture variance is especially important. Having multiple devices and encouraging radiologists to use both hands for pointing and digits other than the forefingers for clicking can make a world of difference in preventing pain and discomfort. • Use a device that allows for “super scrolling” through large numbers of images. This does not necessarily endorse the typical commodity mouse’s scroll wheel because there are better, more systemic solutions available. • When in the process of selecting a PACS, give points to vendors who demonstrate total system solutions for both front-office and back-office operations. 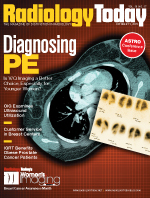 A system-oriented PACS vendor pays attention to the computer interface needs of the radiologists who use the PACS. Simply put, the front-office system components are what the patients see (and what is shown on TV). The back-office subsystems are where the radiologists do most of their work on the PACS. Early radiological systems put a lot of engineering emphasis on the front office, largely because that’s where the money is generated. Frequently, they put too little engineering—particularly human factors engineering—effort on the back office. Consequently, software was designed to help the radiologists do their jobs with the images collected by the front-office operations, but little regard was often given to the man-machine interfaces, particularly what the human radiologists had to do to move through and manipulate stacks of images. The failure to effectively consider the human factors elements led to mousing operations that have, in turn, resulted in radiologists suffering from simple discomfort all the way to being forced to undergo major surgery and rehabilitation for damage done to tendons and other overworked parts of their hands, wrists, and arms. In lieu of the traditional commodity mouse that was delivered with the PACS workstation, consider a mouse that comes in either right- or left-hand models and in different sizes to fit the hand and is contoured to the shape of the human hand. Consider especially a mouse with elongated buttons that encourage use of the whole finger for clicking rather than the fingertip. There are several central pointing devices on the market that replace (or complement) the more traditional mouse. Some radiologists like the trackballs; others have reported success with joysticks. Contour Design’s ShuttlePRO, which was originally designed for filmmakers, is not a mouse, per se, but its jog and shuttle control allows for fast and frame-by-frame forward and backward movement through a time frame or stack of images. And its onboard, conveniently arranged buttons can be programmed to do special functions. At least four significant vendors in the radiological equipment arena have already integrated Contour’s Rx ShuttlePRO into their system offerings. Remember that one leading cause of repetitive strain injuries in mousing-intensive applications such as PACS is the traditional commodity mouse. There are several mice on the market that claim to be ergonomic. It is important, first of all, to discard the mouse that comes with your PACS unless the vendor has been smart enough to include a truly ergonomic mousing device with the system package. Replace it with a mouse that actually fits users’ hands, has elongated buttons, or is a central pointing device of sound ergonomic integrity. Strongly consider investing in more than one device for your radiologists to use. This promotes the posture variance principle mentioned earlier. Work with your system vendor on human factor aspects of your radiology systems and, especially, the man-machine interfaces that link the system with the radiologists. The better vendors are aware of the options available to them to prevent repetitive strain injuries, and several of them have worked with third parties, including Contour, to help ensure that there are alternatives to the traditional commodity mouse. Being aggressive in system selection and implementation will be, in essence, attacking your PACS before it attacks you. — James P. Golden, CAE, is director of marketing for the ergonomic products business unit of Contour Design, Inc.